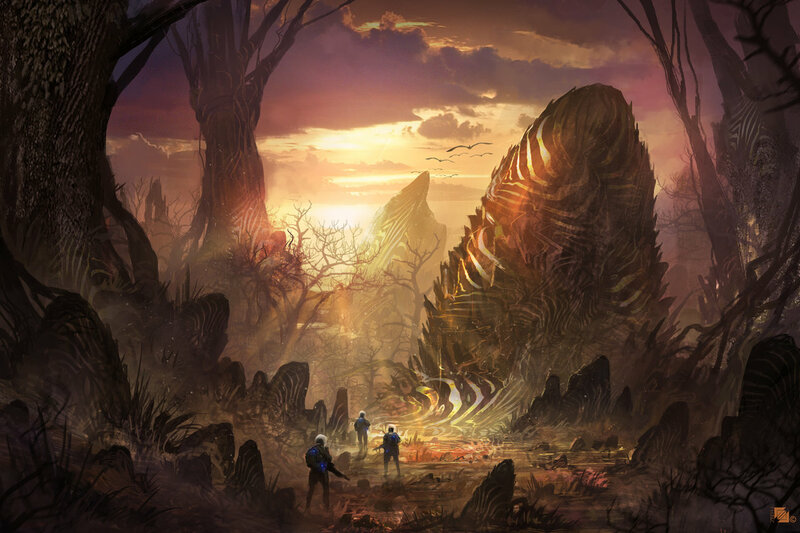 Special science-fantasy cover art for BCS Science-Fantasy Month 4! 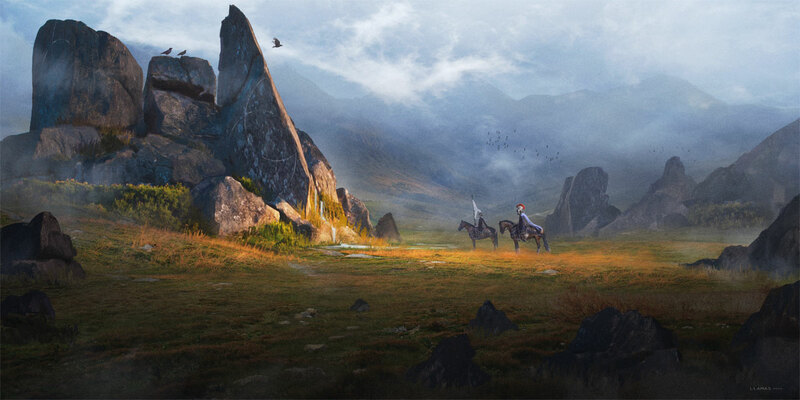 Florent Llamas is a freelance artist based in France. 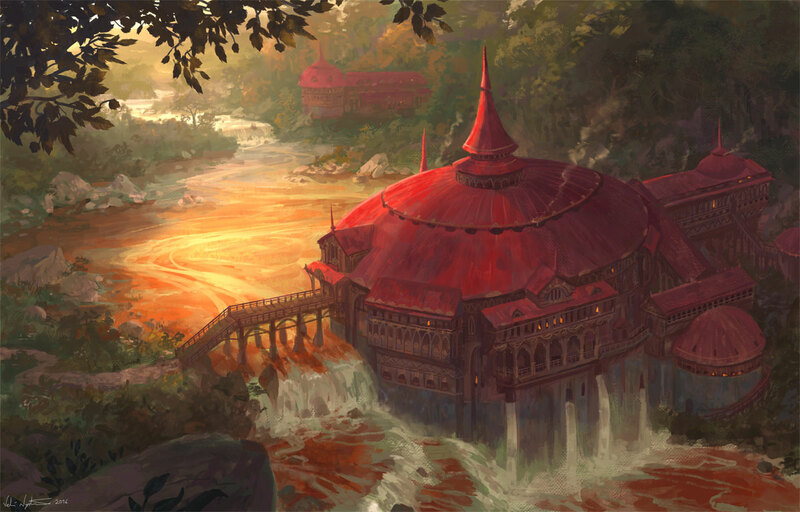 He specializes in concept design and illustration, with over a hundred works to his credit. 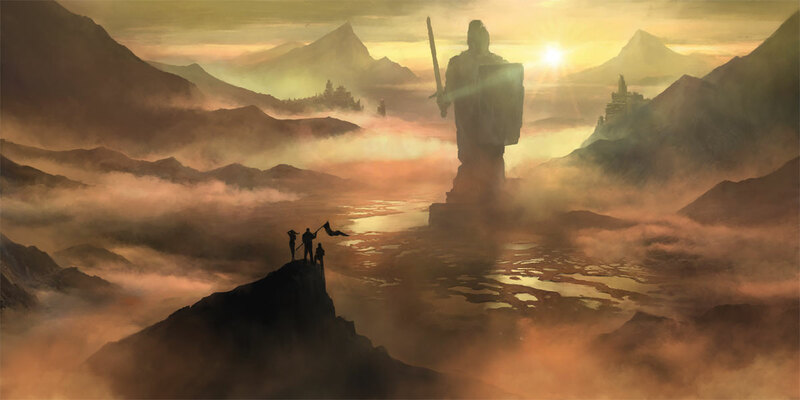 See more of his art online at Tumblr, ArtStation, and DeviantArt. Jeff Brown is a professional freelance artist from Saskatoon, SK, Canada, living in Cuernavaca, Mexico. In the world of book cover design and illustration, he has worked with over ninety book authors on more than two-hundred fifty covers. 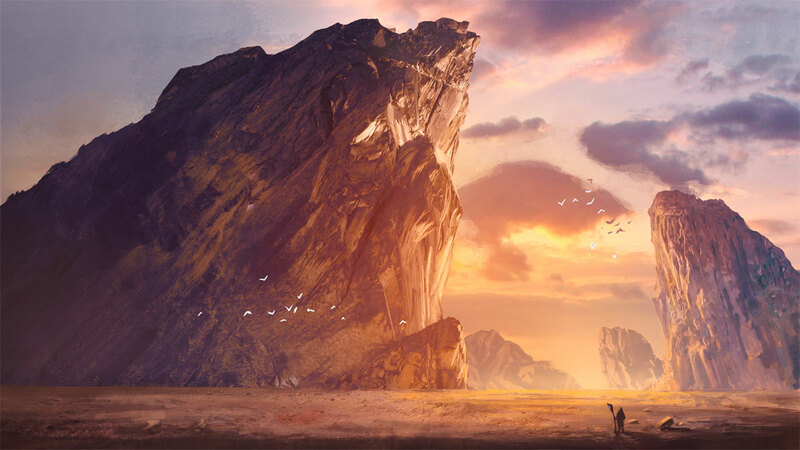 In the world of games, he has worked for companies such as Fantasy Flight Games, Pelgrane Press, and Logic Artists as a concept artist & illustrator. He currently does freelance work and long term projects. To see more of his work, visit jeffbrowngraphics.com. 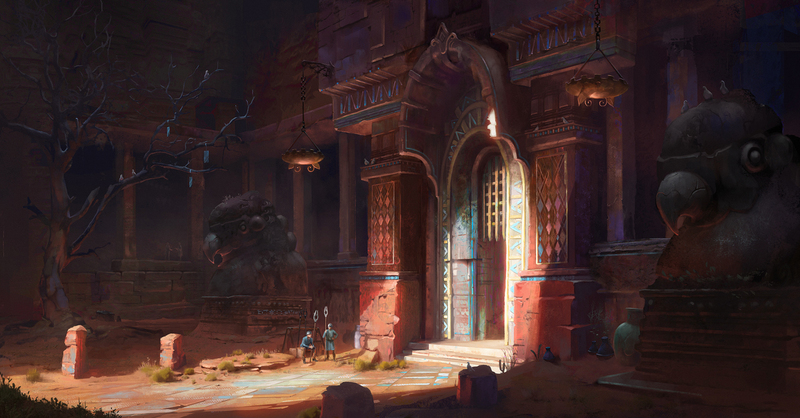 Ashley Dotson is a professional fantasy artist in the game industry who specializes in illustration and concept art. Her keen sense of atmosphere and mood lends her to aim to create a strong feeling in the viewer with everything she paints. She has an art streaming channel on Twitch where you can watch her paint live. Her artwork and a contact for work inquiries can found at www.artstation.com/artist/ashleydotson. 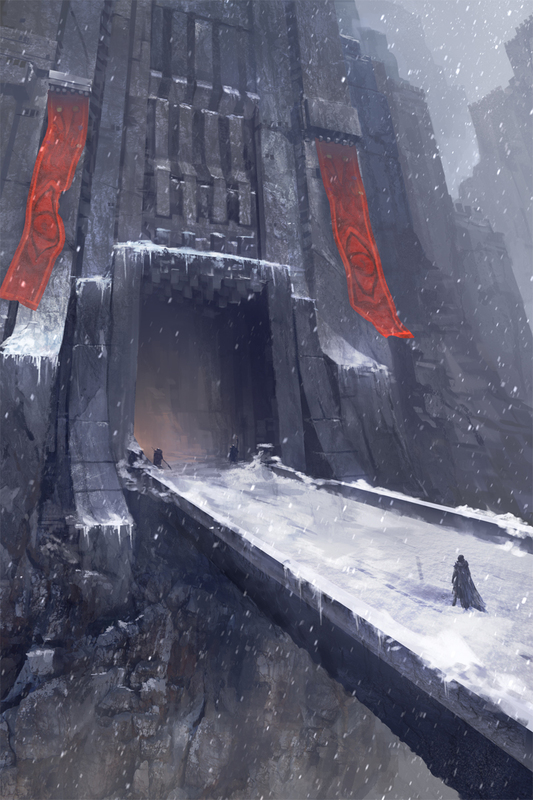 Ward Lindhout is a concept artist currently living and working in Japan. Having studied game design in his home country of Holland, his love for original videogame design drove him to the land of the rising sun. After having worked on titles like The Evil Within and Metal Gear Rising he is now working at Capcom. He is passionate about designing new worlds and their inhabitants, drawing inspiration from traveling to the many beautiful countries the world has to offer. View more of his work on his website at www.artbyward.com. 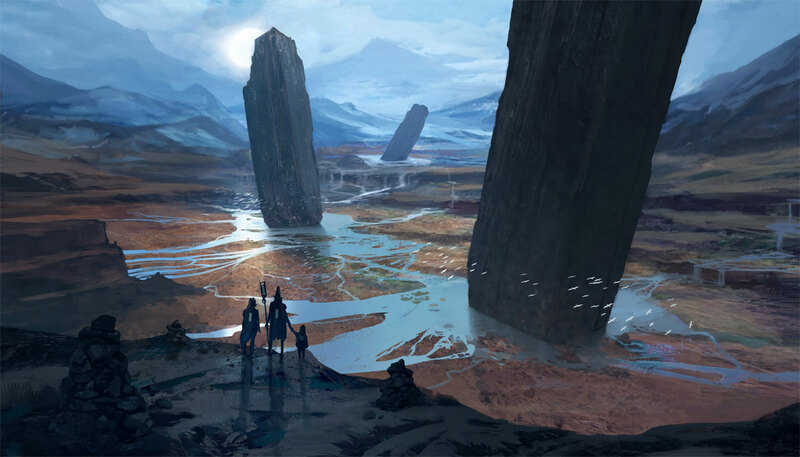 Jinxu Du is a primarily self taught artist, now enrolled in school to pursue a career in concept art and design for entertainment media. See more work online at ishutani.deviantart.com.